It hasn't been an easy decade for Mega Man so far. 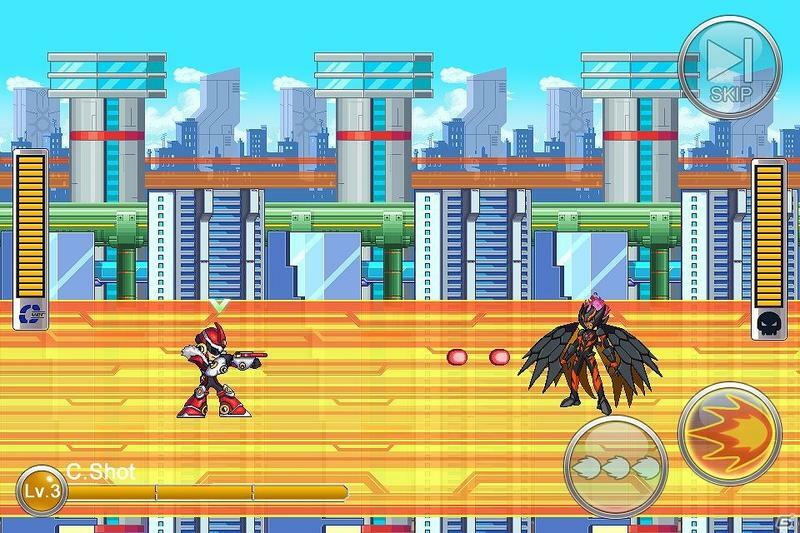 The iconic gaming hero saw not one but four games in his franchise cancelled over the course of three years, and the only one to make it out into the public was the universally hated iOS and Android game, RockMan Xover. If ever there was a poster child for what publishers could devolve their most beloved franchises into should the allure of cheap free-to-play mobile games prove too strong, then this is it. It's not even close to the standards you'd expect from a world-class developer and publisher like Capcom, and it reeks of the cheap cash-in cynicism that breaks the hearts of fans from around the world. And publishers wonder why we are so jaded about free-to-play. With that, Capcom is finally putting a stop to all of this in March 2015. The game did not turn out to be the success the company was hoping for, and it probably realizes that it wasn't worth the negative press to keep it alive much longer. I often complain about how publishers don't do enough to keep digital games running after they have expended their popularity, but I'll make an exception to this one. Banish this thing back into the pit where it belongs, and never look back. Hopefully, and I emphasize hopefully, Capcom will take this closure as a sign of what is wrong about its approach to the franchise. Mega Man has received a lot of positive praise for appearing in Super Smash Bros. in his classic form, and games influenced by his olden days like Mighty No. 9 and Azure Striker Gunvolt have been doing very well in the eyes of the public. Maybe it's time to start listening to fans and figure out how to move forward from this dark age in the poor character's history. "Let the healing begin," so to speak. The atmosphere and timing are just right. 2D is in fashion, HD graphics are providing expressive character sprites that were not capable during Mega Man's heyday, and fans have been eagerly and patiently awaiting the return of the Blue Bomber for far too long. If there are any developers at Capcom still worth their salt and capable of making a new Mega Man game that does justice to his legacy rather than squander it, then let's see it happen! I'm not talking about another EXE, or ZX, or Zero, or Star Force, or even Mega Man Legends 3, although that would be nice. I mean a full on Mega Man 11 with a whole new coat of fresh HD paint, crazy awesome visuals that are better than the ones in Mighty No. 9, and just a bit of innovation to justify a new Mega Man game in this modern age. There is a whole indie scene with fresh ideas that would work fabulously in a Mega Man title, and who knows? Maybe if the developers wrack their brains enough, they can come up with some on their own. If Capcom is serious about promises of making Mega Man fans happy again, and it's not just full of hot air, then the closure of this horrible title should be seen as a glorious new beginning now that the nightmare is over. It's "go time" Capcom. We've been patient for far too long.